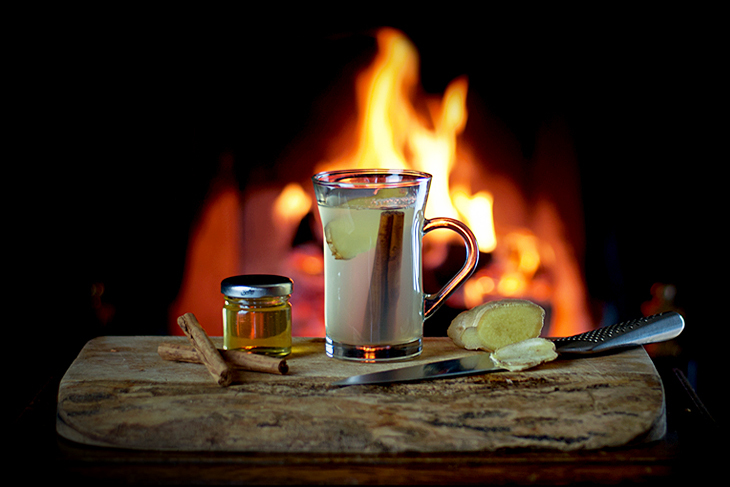 The perfect answer to man-flu or the end-of-winter cold! Put 1tsp of honey and 50ml of Cuckoo Spiced Gin in a mug or heatproof glass. Add the cinnamon stick then top up with just-off-the-boil water. Stir in just enough lemon juice to balance the sweetness of the honey. Drink as soon as it doesn’t burn your lips. A couple of crushed juniper berries will add an aromatic piney and citrus hit. Try a slice of apple in the drink. It will soak up the flavours, soften in the heat, and can be eaten when you get to the end – a bit like mulled cider. Use water that is just off the boil. Putting a spoon in the glass will prevent it cracking as you pour the water in. Use a lightly flavoured honey so it doesn’t make your toddy taste like cough mixture. Drink while it is still quite hot – it will be more soothing that way. Do not take at the same time as any other medicine.